Been a while since this was posted, but well worth the read. Thanks Deadly Clear!!! The Federal Deposit Insurance Corporation (FDIC) chairman serves at the pleasure of the President of the United States. During the financial crisis of 2008, Sheila Bair was chairman of the FDIC and was a member of a very small club: competent crisis-era financial regulators. Bair was one of the primary policymakers in Washington, DC during the 2007–2009 financial force majeure. It was during that time many banks and pretender lenders failed, including IndyMac Bank, FSB and Washington Mutual aka “WaMu”. 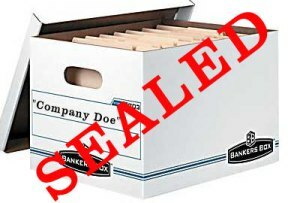 Deals were contrived between banks by the FDIC as it stepped in as receiver to peel off assets making Master Purchasing Agreements between parties.